A nouveau diamond style for the modern company. 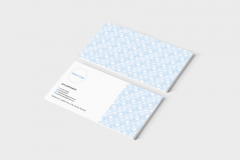 This trendy diamond designed template sets this stationery apart from the rest. 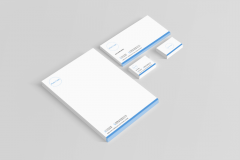 Its sharp and cutting edges give it a dominant look to boost the image of your business. 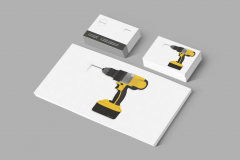 With spaces on the stationery to centre your own photo or logo, this design could be used in almost all types of industry.